While food plots aren’t an absolute necessity if you plan to hunt whitetail deer, they are helpful in attracting them to your property. What to plant, and when to plant it, can become confusing. It depends on your land and what you want to accomplish. Ultimately, you want the deer on your land to be healthy and feel comfortable. The best whitetail food plots will vary with warm or cool season growth. It’s your choice whether you want to provide healthy nutrition or simply attract the deer with food they enjoy. Planting times may change depending on whether you prefer to hunt early or late in the season. The actual types of crops you plant rely on your goals for the season. If you only want to draw deer in for hunting, you may choose different crops if trying to promote deer health during gestation and antler growth in the spring. An area with particularly hard winters may be best served by providing nutrition during the difficult winter months. Most people find they have a mix of reasons for planting and decide to mix a few of the most popular crops to attract deer and assure they are healthy. Annuals grow once per planting, and tend to grow quickly to provide an immediate food source. These can include corn, peas, and soybeans as vegetables or can include grains such as wheat, oats, or rye. Annuals tend to be best during the warm season and will attract and keep deer on your property. Once the deer consider it “home” they will likely stay throughout the year including hunting season. Perennials are different than annuals in that they develop a root system which allows them to grow more than once per planting. Developing stable roots takes a bit more time than the growth cycle of annuals but last at least two years and often much longer. They tend to be a base source of nutrition deer will commonly graze on. Common perennials whitetails are attracted to include red and white clover, alfalfa, and chicory. Row crops provide distinct advantages for deer just as they do for a regular garden for human consumption. Rather than scattering seed randomly, row crops provide a better means of allowing for even distribution of sunlight and irrigation. This in turn means a greater percentage of seed will in fact grow into a healthy plant, providing a more efficient means of providing nutrition for the deer. Row crops need to be planned according to where the deer has access and how you intend to set up a blind or tree stand, but can be useful to implement particularly with certain grains. Fruit trees can be exceptionally useful in a relatively high population. When other hunters also plant whitetail crops on the surrounding land, you’ll need your property to stand out with a specialty treat which is even more appealing to the deer. Apple trees are considered the most common, but deer also love pears and persimmons whenever they come across them. Each crop has its best time for planting, and even more confusing can be how that time changes according to region and annual weather expectations. Typically, your supplier should be able to provide the information you need to get the greatest yield possible from your crops and you can often get advice from local farmers to help with the final determination as when to plant any specific crop for the warm season. Cool season food plots can be annuals, but are often of the perennial variety as the extended root system helps them survive in colder weather. Planting cool season crops are useful to continue to provide for the deer throughout the year rather than just as preparation for hunting season. Brassicas are plants which typically have an edible root and leaves which provide winter foliage and healthy nutrition for deer. Radishes, cabbages, and mustard plants are typical brassicas and grow well even during light frost conditions. Whatever the deer don’t eat is perfectly fine to add as a vegetable to your own dinner plate. Wheat is a great crop for early in the fall or spring. Deer like the tall grass crop, and also attractd turkeys for the spring hunting season. Wheat grows well alongside other plot crops. It is important to ask your supplier which variety will grow best in your area. Whenever possible, conduct a soil test to determine how much fertilizer the crop may need. Rye is a strong crop which will grow under adverse conditions. It is as effective as wheat and oats in attracting whitetail deer to your land. Rye is a stout crop which will grow well across the United States and can maintain growth during chilly weather. It doesn’t mix well with other crops as it will typically outperform them, taking the soil nutrients needed to grow. Oats are a favorite food for deer. However, it is illegal as a food plot in some areas so be sure to check local laws before planting. They are a good draw for deer, a good crop of oats may draw more deer than you want on your land. Oats don’t grow well in colder climates, but can be mixed with hardier plants such as clover as an additional nutritional supplement. Clovers, whether crimson, red, white, or arrowleaf, are a staple of food for deer. Clover food plots work well as a general ground covering alone or in conjunction with other deer favorites. Clover grows well in poor soil conditions and provides a staple of nutritional value for deer. Once planted, it often reseeds itself and will maintain a crop for years to come. Chicory is another plant which grows well under any conditions. It provides valuable nutrition which deer may not find in other plants. It works well mixed in to supplement other food source crops which deer are attracted to. Chicory requires little maintenance and will last several years if planted properly, according to soil pH. Although chicory can stand alone, it often works best with other crops to help balance the soil nutrient levels. Warm season food plots are arguably the most common and important for the sake of preparing for hunting season. Typically, the annuals which tend to be planted during the warm season provide the nutrition deer need for the young ones to grow healthily, females to produce milk, and males to grow strong antlers. Soybeans are a nearly perfect food for deer. 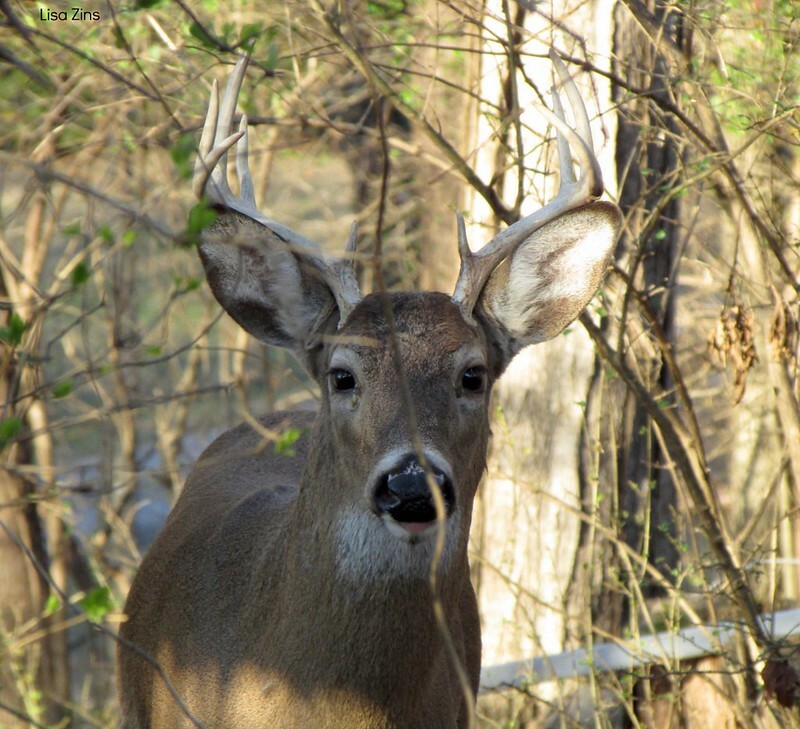 Planted later in the spring, whitetails can eat soybeans throughout the summer and bond with the land, creating trails and relying on the food and water sources available in the area. Soybeans are a simple crop to grow as they are easy to maintain in a variety of soil types and remain active throughout most of the winter. Corn provides a lot of food per plant which the deer love. Because corn is grown in rows, it’s an efficient plant to grow with a high rate of success per seed. Corn rows are tall enough to provide cover which makes the deer feel comfortable while eating. Although corn has a lower protein content than other crops, it provides deer with the necessary levels of fat and carbohydrates they need for energy. Grain sorghum is less expensive to grow than corn while providing essential nutrition for deer. Deer aren’t always as attracted to grain sorghum as they are to other plants, but they will eat it and it is especially useful in drought areas as it uses less water to grow. Grain sorghum is a great crop for fall and winter to maintain a deer herd’s health during the months when food is harder to find. Lablab is a legume which is even more resistant to drought conditions than sorghum, to the point it won’t grow well in wet conditions. It’s also an excellent choice in soil which is low in nutrients, as it can still provide the protein and nutrition deer need for healthy growth. Lablab provides a quality high protein food for deer in large quantity per acre comparative to other plants. Cowpeas grow quickly and well throughout the summer, making them a favorite crop among bowhunters who tend to start the season earlier than traditional hunters. Whitetail like cowpeas so much it can cause a problem in that the deer find them and start eating before the plants have firmly established themselves as a food plot. Sunflowers are a high source of protein and offer an advantage as a food plot in that they aren’t commonly grown for such a purpose. As a rarer crop, sunflowers provide a special treat for the deer which is not likely to be available on the surrounding lands. Sunflowers provide a nice scent which is attractive to deer and other wildlife. Sunflower fields need to be generously sized, and they need to be rotated regularly to maintain healthy soil.